DHS has a number of critically important and public facing jobs, but none is arguably more important or public facing than that of FEMA Administrator. It’s a job where you get all of the blame if things go wrong and little credit or public accolade if things go well. It’s a complex position as an all-hazards agency means you have to prepare for everything—hurricanes, floods, fires, earthquakes, terrorism, and even electromagnetic pulses from sun spots. As the top emergency response coordinator for the federal government, FEMA plays an essential role in bringing federal, state, local and tribal resources, along with the private sector and others, to render aid and get recovery operations moving. FEMA Administrator is not a job for just for anyone. On top of the straightforward requirements set by Congress and the Bush Administration enacted after Hurricane Katrina, it requires a cool head, good communications skills, and the ability to convey confidence and strong leadership to the public and the agency’s partners. Any wavering in any of those areas will only make that person’s job and the agency’s overall performance harder. That’s one of the many reasons current FEMA Administrator Craig Fugate has been a success. In the position for nearly 8 years, Fugate brought with him tried, true and tested experience as Florida’s Emergency Management Director where he had seen fires, floods, hurricanes, tornadoes, power failures and so forth. He also had phenomenal relationships with his emergency management peers in the public and private sectors around the country as well. Fugate has brought stability, organizational process and leadership to FEMA building off of many of the post-Katrina reforms that were initially enacted by his predecessor, David Paulison and his team. The Obama Administration has certainly had its share of fires, floods, hurricanes and other major emergency events that have occurred on its watch, and FEMA has performed fairly well. While many of the emergency events have made front page news, FEMA as an agency has not and that is a good thing. If they were making front page news, it probably means there has been a major screw up and that has not happened. FEMA’s performance over the past decade has been fairly solid, but that does not mean we should take the agency and its people and progress for granted. Emergency management requires dedicated time, resources, attention and leadership. You must prepare all of those things on the “good days” so they are in working order on the “bad days.” Trying to assemble those capacities during a disaster situation puts you behind the eight ball and that is never good. The truth is Craig Fugate will be hard to replace as Administrator and if he wants to stick around in the job, it would be to the next Administration’s benefit to keep him at FEMA as long as possible. But if he’s had enough (and his wife and family have had enough as well), profiled below are some names of people who might make suitable replacements. I’ve gathered these names not only from my own interactions and observations with many of them, but through the wise counsel of a number of others in the emergency management community. Note that I have not divided these names into partisan categories. To me, the FEMA Administrator position transcends party labels and politics. As much as the FEMA Administrator is providing emergency management counsel and assistance to the President and the DHS Secretary, they are working America’s “bad days” for Americans—and bad days do not pick a side of the aisle. They strike regardless of political persuasion, geography or any other sub-dividing category. Many of the names you might recognize; others you may not. But each of these people and their emergency management peers are working day and night to plan, prepare, partner and respond as best as they can to whatever hazard arrives. In no particular order, here is Part 1 of my two-part series listing some folks to consider for FEMA Administrator. 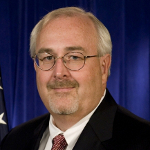 Craig Fugate, Administrator, FEMA – If he wants to stick around FEMA even longer, the next President should let him. Fugate has become the new metric by which every future FEMA Administrator will be measured. I’ve yet to find anyone in DC or elsewhere that would like to see him exit, but maybe his wife and family have other ideas (which is completely understandable). As one emergency management colleague shared with me, a year at FEMA should be measured in “dog years” given the pressures and demands upon its people, families and resources. Brian Kamoie, Assistant Administrator, Grant Programs, FEMA – When you are responsible for awarding FEMA grant dollars as Brian Kamoie is, you have a lot of people around the country who want to be your friend. It also means you have a lot of explaining to do to members of Congress and other leaders about what they received and what they did not. 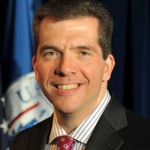 Kamoie has brought stability and clarity to one of the toughest positions within FEMA and DHS. His ability to craft effective relationships and get things done are hallmarks of a career that has had him serve at the National Security Council in both the Obama and Bush Administrations dealing with H1N1 flu, the BP/Gulf Oil Spill, the Fukushima Earthquake/Nuclear Emergency and other emergencies. Kamoie also served in senior preparedness positions at the Department of Health & Human Services, which is where was first noticed for his forward-leaning, proactive stances on policy and programs in national readiness and resilience. Bryan Koon, Director, Florida Division of Emergency Management – There is probably only one other state in the US that rivals California in terms of complexity in emergency management risks, hazards, operations and volume: Florida. While hurricanes are often the threat most associated with the Sunshine State and its 1,197 miles of coastline, it has more than its share of other risks and challenges as well. Leading its emergency management efforts is not only a Navy veteran but also the former head of Wal-Mart’s Operations Manager and Director of Emergency Management, Bryan Koon. When you are the world’s number-one retailer, staying open and in business is a top priority. So is making sure all of your stores, drivers, employees and operations are ready for whatever may come their way. That was his job for 5 years, and it’s just one of the many reasons Gov. 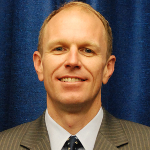 Rick Scott tapped Koon to lead Florida’s emergency management operations. He has policy, programmatic and operational expertise that are second to none. If he didn’t already have enough on his plate, Koon is also the current President of the National Emergency Managers Association (NEMA). 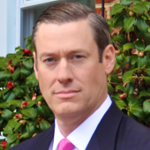 Daniel Craig, CEO & President, Tidal Basin Holdings – Bringing state, regional and federal experience to the table is Dan Craig who previously led FEMA’s Division of Recovery, which was responsible for working with community leaders and residents after response and emergency services have left town. Recovery is one of the toughest challenges for any community, and Craig’s experience at several levels of these operations (including as the FEMA Region 1 Administrator) has him attuned to the challenges of the agency’s top position. 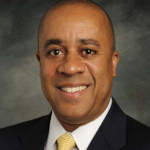 He’s now working in the private sector serving as the CEO and President of Tidal Basin Holdings, Inc., a national consulting firm specializing in supporting governments with pre- and post-disaster recovery programs. Prior positions include work for the U.S. Chamber of Commerce, the National Rural Electric Cooperative Association, and teaching at the University of Maryland University College as an adjunct professor of Homeland Security and Emergency Management. Jim Featherstone, President and CEO, Homeland Security Advisory Council – California is a 24/7, 365-day, four-season emergency management challenge in planning and response, and Los Angeles (like other major metropolises) never sleeps. Jim Featherstone’s 8 years as the top emergency manager for the City of Los Angeles, following a 22-year career in its fire department (as well as firefighter union president), put him front and center on a range of high-profile emergencies and events. Being at its epicenter in Los Angeles for more than three decades has given Featherstone plenty of hands-on experience in bad-day readiness and response. He presently serves as President and CEO of the Homeland Security Advisory Council. 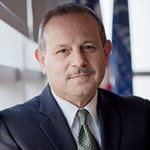 Mark Ghilarducci , Director, California Office of Emergency Management, (Cal OES) – Having already served two California Governors as the top emergency manager, Mark Ghilarducci is a proven hand in dealing with California’s bad days. Now serving as the Director of the California Governor’s Office of Emergency Services (Cal OES), he is presiding over one of the most complex, most tested emergency networks in the country, if not the world. While I’m sure there are those who might question his sanity for taking on this incredibly challenging job twice, it is also testament to his commitment to the Golden State and the emergency management profession. 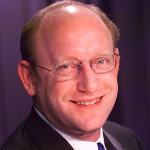 Matt Bettenhausen, Chief Security Officer, AEG Worldwide – Another veteran of managing disasters and risks in California is also one of the people who led the state’s reorganization efforts nearly a decade ago to create the California Emergency Management Agency (CalEMA). Now serving as the Chief Security Officer for one of the world’s largest venue owners and operators, AEG Worldwide, Matt Bettenhausen looks after the safety of millions of people in arenas, sports stadiums, theaters and entertainment facilities around the globe. 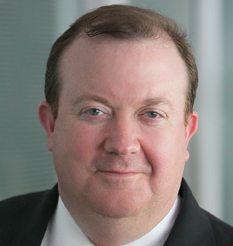 From the Olympics to games for professional sports leagues, this former federal prosecutor from Chicago has spent a lot of time developing the security operations, resilience procedures and information sharing networks for states, law enforcement and emergency management agencies, as well as sports and entertainment venues in the United States and around the world. Chris Geldart, Director, DC Department of Homeland Security and Emergency Management Agency – When you are the person in charge of emergency management for the nation’s capital, somehow everything and every day ends up being a part of your responsibilities. Chris Geldart has proven he’s more than capable of doing the job. 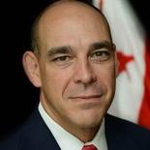 Now serving his second DC Mayor, Geldart brings with him private, public and military experience to a job that has many people claiming to be in charge while none of the acumen or willingness to bring them together to make things happen effectively. Maybe it is his Marine Corps training kicking in, but Geldart gets to the point of problems quickly so his leadership can make the decisions they need to protect and preserve lives and property as quickly as possible. When your city hosts everything from Presidential Inaugurations, huge 4th of July celebrations, weekend marathons, protests, as well as neighborhood festivals (while also being one of the world’s biggest terrorism targets), every day has the potential for challenge. DC Emergency Management has proven they know what they are doing. 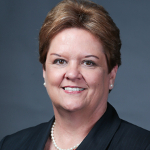 Nancy Ward, Chief Deputy Director, California Governor’s Office of Emergency Services (CalEOS) – The role of FEMA Administrator is one Nancy Ward is already familiar with given that she was the Acting Administrator for nearly 5 months before Craig Fugate took the job in 2009. If that was not enough on-the-job exposure, her time serving as the Regional Administrator for FEMA Region IX had her leading one of the most expansive, complex, risk- and disaster-prone areas of the country. Every FEMA leadership job has its challenges, but Region IX is an Olympiad of experiences to handle and it’s something she did very well for nearly a decade. (FYI – Region IX includes Arizona, California, Hawaii, Nevada, American Samoa, Guam, the Commonwealth of the Northern Mariana Islands, the Republic of the Marshall Islands and the Federated States of Micronesia.) Upon leaving FEMA, she joined the California Governor’s Office of Emergency Services where she presently serves as its Chief Deputy Director. 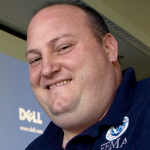 Bob Fenton, Regional Administrator, FEMA Region IX – Succeeding Nancy Ward was a tough act for anyone to follow, but as someone who had been an active leader with FEMA Region IX as, well as at FEMA Headquarters in DC, Bob Fenton was a smart pick. He’s been active in California emergency management for decades and also has significant experience in working with a range of governmental partners as part of the interagency process. He’s also been on the ground during some of FEMA’s biggest response and recovery operations, including several Gulf Coast hurricanes (including Katrina), the 9/11 attacks in NYC, and even a typhoon in Guam. In the early 1990s, when he worked as the Chief of Field Operations for Portable Water Supply Systems, he deployed to Central Africa as a lead member of the U.S. emergency response relief effort, bringing lifesaving assistance to Rwandan refugees.